You should not be forced to continue suffering physically, emotionally, or financially for an injury caused by a negligent doctor or physician. 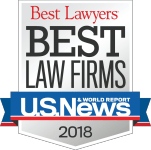 Whether you were injured due to an anesthesia error, a delayed or wrong diagnosis, a prescription error, a surgical mistake, or any other kind of doctor error, it is imperative that you have a qualified medical malpractice attorney on your side throughout the legal process. The Cherry Hill legal team at Andres & Berger, P.C. 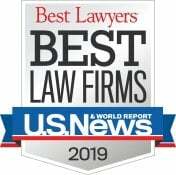 includes lawyers who have been recognized by South Jersey Magazine as the “Top Medical Malpractice and Civil Trial Lawyers.” You can count on Michael S. Berger and the other experienced medical malpractice attorneys at Andres & Berger to help you get the financial compensation and justice you deserve. 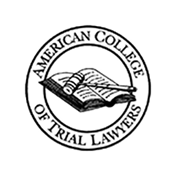 If you were seriously injured by a negligent medical professional in Cherry Hill, Camden, or anywhere else in Camden County, New Jersey, The Law Offices of Andres & Berger, P.C. is prepared to represent you. Contact us anytime to discuss your case. 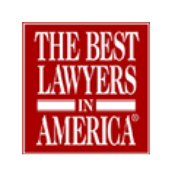 At The Law Offices of Andres & Berger, P.C., we know what is needed to win the most difficult medical malpractice cases. Contact us today so that we can take a look at the details of your case and help you determine the next step. The Law Offices of Andres & Berger, P.C. 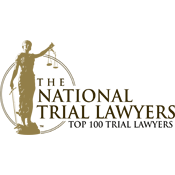 is a nationally recognized law firm with attorneys who specialize in medical malpractice law in Camden County, New Jersey. 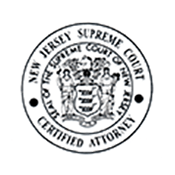 Several members of our legal team have been certified by the Supreme Court of New Jersey as Civil Trial Attorneys, an exclusive honor bestowed on just two percent of all attorneys in the state and signifying excellence at litigation. Michael S. Berger, one of the founding partners of Andres & Berger, specializes in medical malpractice claims and has helped his clients win millions of dollars in cases involving anesthesia malpractice leading to brain damage, birth injury leading to cerebral palsy, and misdiagnosis of prostate cancer leading to wrongful death, among many other cases. When you hire Andres & Berger, P.C. to represent you in your medical malpractice case, you know that Mr. Berger and his skilled team of medical malpractice lawyers will scrutinize the evidence, consult with physicians and other qualified experts, and do whatever it takes to strengthen your claim in advance of trial. Did you visit a hospital in Cherry Hill, NJ and suffer a serious injury due to doctor negligence? 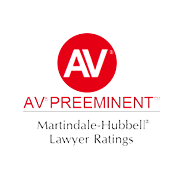 The experienced Cherry Hill medical malpractice lawyers at Andres & Berger, P.C. are prepared to assist you with your case and ensure that you get justice. Let us take care of the legal issues so that you can focus all your attention on recovering physically. We take all medical malpractice cases on contingency, so there are never any upfront costs. Call us now. Cherry Hill is a township in Camden County, New Jersey. Cherry Hill Township has the second-largest residential population of all municipalities in Camden County, with more than 71,400 residents. Cherry Hill is a large township with a geographic area of more than 24 square miles and includes suburban, commercial, and industrial areas. Since Philadelphia, PA is situated just eight miles northwest of Cherry Hill, visitors to Philadelphia often come to the Cherry Hill downtown district for dining and entertainment options. Additionally, many commuters to Philly pass through Cherry Hill Township each day while traveling to and from work. The Cherry Hill Mall is part of “The District,” a section of Cherry Hill that includes other shopping plazas, retail stores, and a strip mall located near Route 38, Route 70, and Haddonfield Road. There is a noticeable uptick in auto accidents on these roads on weekends due to visitors to the area and resulting traffic congestion. Victims of motor vehicle accidents and slip & fall accidents in Cherry Hill Township typically receive medical treatment at Kennedy Memorial Hospital, which is the only hospital located in the township. Hospitals in nearby communities include Cooper University Hospital in Camden, NJ and Virtua Hospitals in Voorhees Township, NJ.